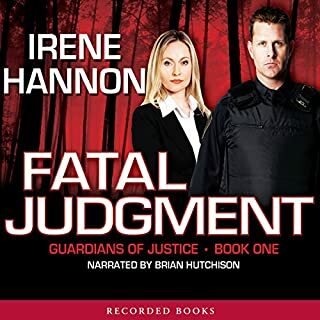 RITA Award winner Irene Hannon has also won the Holt Medallion for her romantic suspense. In this pulse-pounding thriller, the White House orders elite FBI operator Evan Cooper to secure Monica Callahan from a terrorist threat. But since Monica refuses all calls from her senior diplomat father, she sees no need for his round-the- clock protection—until a chilling “message” leaves no doubt. When librarian Laura Griffith's 16-year-old sister disappears on a frigid February day, leaving only a brief note behind, Laura resolves to do whatever it takes to track down the runaway teen. That includes recruiting ATF agent turned PI James "Dev" Devlin to help. But the deeper he digs, the more he begins to suspect that something sinister is at work in the girl's disappearance. And the closer he gets to uncovering the truth, the clearer it becomes that the situation isn't just dangerous - it's deadly. 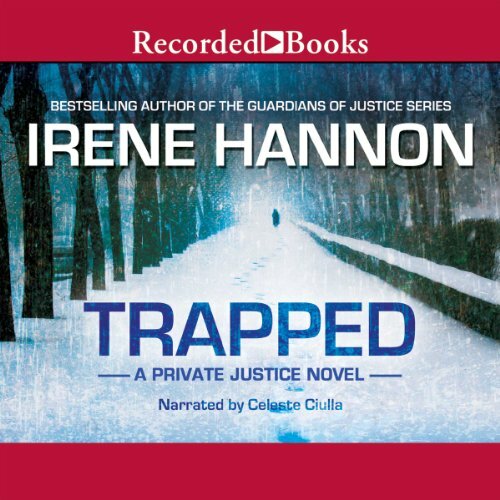 Chilling and at times terrifying, Trapped is the latest thrilling listen from Irene Hannon, the queen of romantic suspense. Hannon outdoes herself with this fast-paced tale of fear, deception, and just the right dose of romance. This review might have been different if a different narrator had done the story. I just did not like the contrived tone of the narrator. 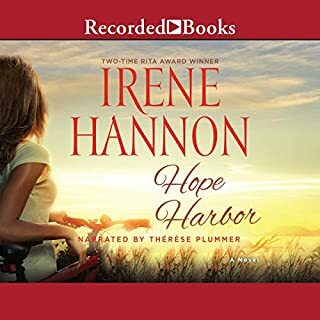 I like Irene Hannon's style of writing very much. Her novels move seamlessly amongst the characters, giving the reader a real sense of what makes each character 'tick'. The character-development of the teenaged sister in this novel was interesting and moving. 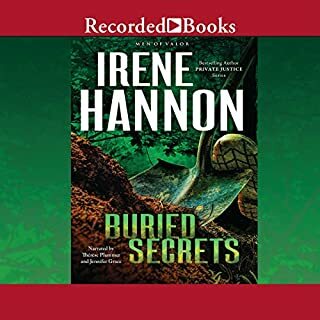 I like Irene Hannon's books and had just finished an audio book that I thoroughly enjoyed ("Deceived") by the same author (though a different narrator). I looked forward to another fast-paced and enjoyable novel as I selected "Trapped" but I simply could not get past my frustration with the narration of the story. I am not usually very critical of narrators. 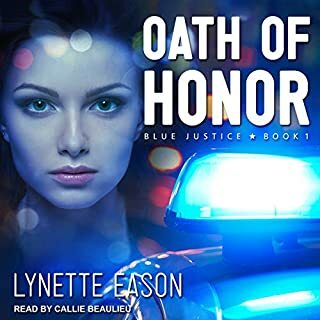 I know that narration is an undervalued professional skill and I have the utmost respect for a good narrator. Ms.Ciulla's style and tone just did not do justice to this novel. Was Trapped worth the listening time? I cannot recommend the audio book though I would recommend the novel. I really enjoyed the story, but the narrator was clearly just reading lines. Not done as well as some of the others I have listened to. But... the narration isn't so bad that I won't listen again.. the book is too good for that! I would recommend this book in kindle edition to a friend; not in audiobook. The story is good but the narrator left too much time between sentences and the chapters that it loses your interest. I've started and stopped this book 1/2 a dozen times. Would you be willing to try another one of Celeste Ciulla’s performances? I wanted to like this book, but it was heavy handed and predictable, even for Christian romance. There is nothing literary here, and the characters, which usually carry this genre, were cardboard. The listen was not helped by the narration, which was full of weird emphases and odd pauses in awkward places. Forgettable. Loved the story and the characters, but the narrator wasn't very good. I'd recommend getting the written version. No, the narrator can't act. Celeste ciulla voice is annoying and monotone. I am so glad when author changes narrator. It was killing me. I really didn't like the narration of this book. I had difficulty enjoying this story because of the narrative. Sometimes overacted and sometimes mechanical sounding. I have come to favor some narrators. I may let that be a major influence on my next choice. I liked the story, but I found the narrator annoying and distracting when performing the men's voices. Other than that I think the narration was ok. The story is compelling and interesting. 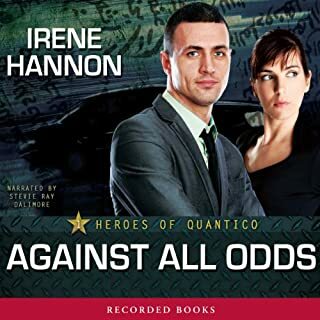 Irene Hannon does a good job of developing characters to enjoy. 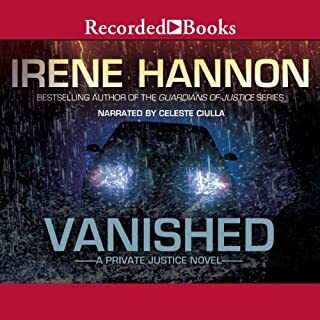 I did enjoy this story, but when I listened to it back-to-back with Vanished, it was so similar that I knew what was coming most of the time. Spoiler alert - also not crazy about the "bad guy" having close interactions with kids and blaming a parent on their messed up thinking. Other than those things the story kept my interest.